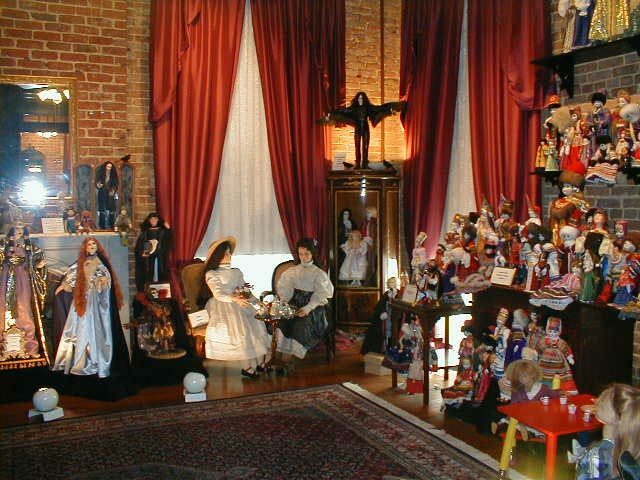 Back in 1998, I had the great fortune to meet Ms. Rice and spend time with her in her stunning home in New Orleans, and then receive a personal guided tour of her doll museum. The weekend I spent interviewing the “Interview with the Vampire” author ranks among my favorite recollections—personally and professionally. What made the meeting so special is that Anne was truly a kindred spirit. Obviously, she has a “thing” for “things that go bump in the night.” And I confess, so do I. (One of my most treasured gifts as a child was a Ouija board, but I never could get it to glide on its own—I had to help the spirits along with gentle nudges.) Through intense conversation, I discovered we both adored Johnny Depp, historical costume dramas, and Elton John. How did we differ? 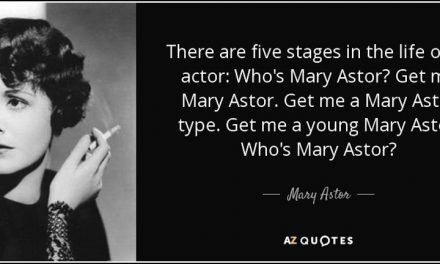 Well, she was world-famous, had a fleet of chauffeured limousines named after angels, had an elevator in her house, bodyguards in her backyard, and tour buses parked in front of her address. She also had a doll collection that attracted members of the press, like me. The most fascinating thing about Anne Rice’s collection is that it wasn’t just museum worthy as a description or an exaggeration. (You know, like when a friend looks at your latest purchase and declares, “Why don’t you just open up a museum already?”) Rice’s collection had expanded and had grown over the years, and she did what most of us only dream of. She opened a museum of her dolls. However, here is the kicker—the backstory that makes it so uniquely Anne Rice-ish. The collection was now housed at St. Elizabeth’s, a onetime convent and orphanage. The place was historic and vast, and the dolls, which ran the gamut from porcelain home-shopping acquisitions to mind-blowing antique rarities, were arranged throughout the building in quiet conversational groupings. Walking together with Ms. Rice through the echoing, empty hallways, I kept having the distinct impression that any of the dolls could suddenly rise up, walk over, and tug on Anne’s hem. They seemed to be more than just wax, wooden, and resin figures. They honestly seemed to be parts of her consciousness and they were on display for visitors to see and comment upon. Unlike many people who are schooled in the finer points of acquisition and speculation, Anne Rice had bought all of her dolls with her heart. An appraiser might arch an eyebrow at some of her choices, but at others, an antiques expert would swoon. She bought instinctively and impulsively. She purchased these dolls because they spoke to her, and she would often go and sit among them and speak softly to them. She was connected to her babies that were frozen in time, and her regal lady dolls that would never fall to the ravages of time. Ahh, there’s that vampire imagery again . . .
Not surprisingly, dolls have played both minor and major parts in Rice’s novels. 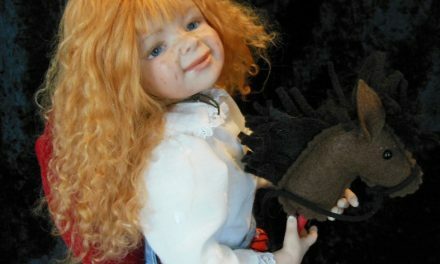 In the book that put her on the literary map, “Interview with the Vampire,” it’s a kind, caring doll-shop owner that becomes the doomed protector of the child vampire, Claudia. And in “Taltos,” and the Mayfair Witch chronicles, a doll maker of extraordinary abilities leads readers into a surreal journey of horror and salvation. 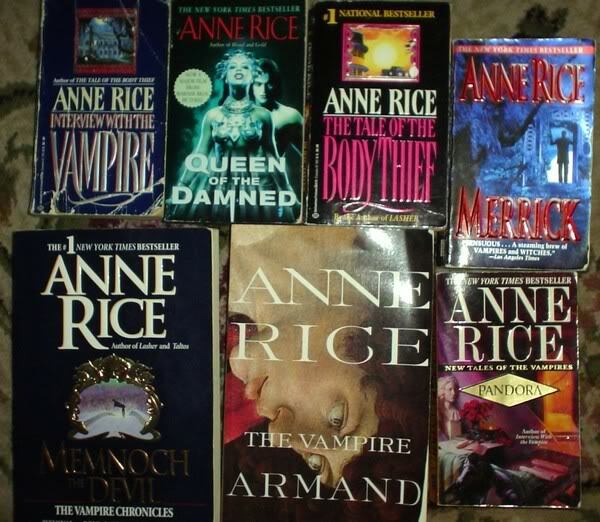 I have always been a fan of Anne Rice’s work, and during that weekend, I packed a travel bag filled with a few of her paperbacks for her to autograph for me. I hoped she’d sign one; she signed all, and personalized all the inscriptions. Since that meeting in 1998, Ms. Rice’s world has shifted dramatically. 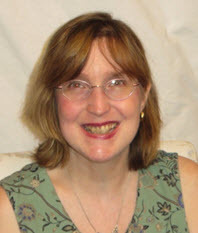 Her beloved husband, Stan, passed away, and she has been diagnosed with several serious ailments. She has moved to California, has strongly and vocally rediscovered her Catholic heritage, and has sold much of her New Orleans holdings. Among the casualties of her relocation is the St. Elizabeth’s doll asylum. Both the little and large, inexpensive and costly, creatures that have dwelled there have been packed up and shipped away. Where have they landed? They are currently in Chicago, and are set to be auctioned on July 18, 2010, this past Sunday. Theriault’s had arranged the packing, the transportation, the selection, and the cataloging of her collection. I don’t know which of her dolls were for sale, nor how much they fetched. It’s sad for me to think about these dolls being divided now. They were a band of brothers and sisters that had shared an abode for more than 30 years in some cases (Anne had become a collector in the 1980s). Now this family will be no more. One saving grace for the dolls at this auction was its timing. The event was deliberately slated to be held the day before the UFDC convention in Chicago begins. 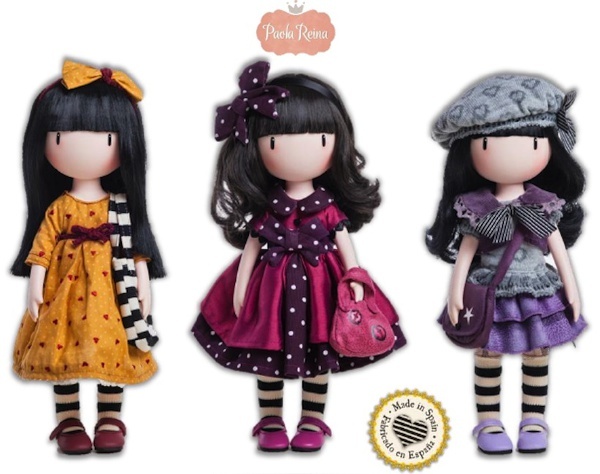 There definitely would be doll aficionados and doll lovers on hand to bid and to bid adieu. 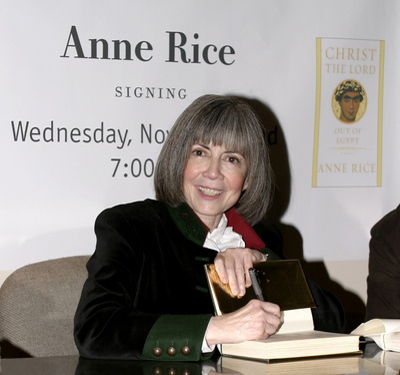 Why did Anne Rice decide to sell her collection? It’s been said that she wanted to downsize, to de-clutter. She no longer actively collects, and she wanted her dolls to be seen and appreciated once more. Shuttering the museum doors meant that the dolls were alone and unattended. As anyone who has ever seen a “Toy Story” movie knows, a doll is not happy unless it is played with or loved. Observations that only a vampire fancier could make . . . May Anne Rice and her dolls find what they’ve been looking for. PreviousForever Young: We have multiple Snow White dolls but no Betty Whites. Are we afraid to grow old? NextDoll-ars and Sense: Can a famous soccer player, a plastic brick, an average Joe and a GI Joe save the economy?